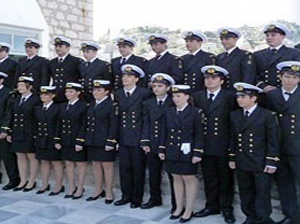 The National Merchant Marine School is the first Marine Academy in Greece and proud successor of the Greece marine tradition. The Academy started to operate in 1749. At first it was a school with the name "Saint Nikolaos" and from the 1800 it operated as Merchant Marine School of Hydra with initiative from the eldership of the island. In the years before the revolution, foreign teachers from Portugal and Italy mostly, were teaching naval theory and foreign lanquages in to the Academy. Felice Caserta from Palermo, Sicily, was a teacher and taught at the Academy of Hydra from 1817 until 1821. In 1821 he fought in an Hydraian ship for the Nation's freedom. Teacher of the italian language at the Navy School was the Doctor of Laws Joseph Kiappe. At the beginning of the revolution he was the secretary of Anastasios Tasmadou and from the mids of 1821 and throughout the course of the revolution, the secretary of the community and editor of "Friends of the Law" and Abeille Grecque. 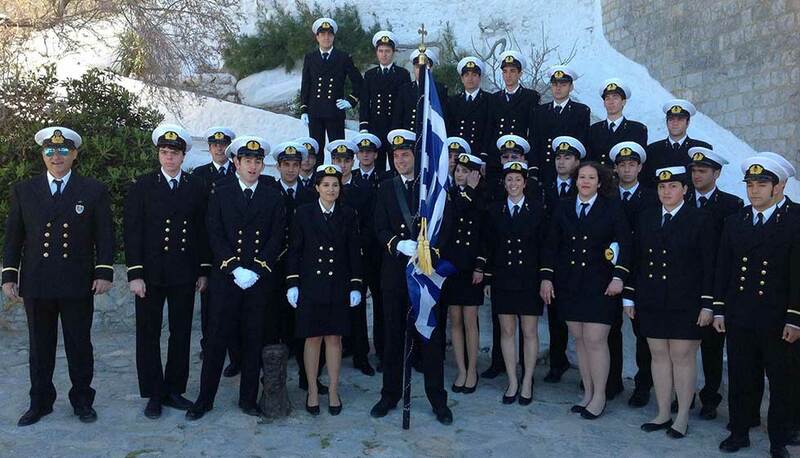 Since 1837, the fledgling state was sending in Hydra, Syros and Nafplion navy teachers to teach nautical subjects. In 1867 at the schools of Hydra, Syros, Spetses and Argostoli, had been added a teacher specialist for nautical courses and for this reason are characterized Nautical Schools. 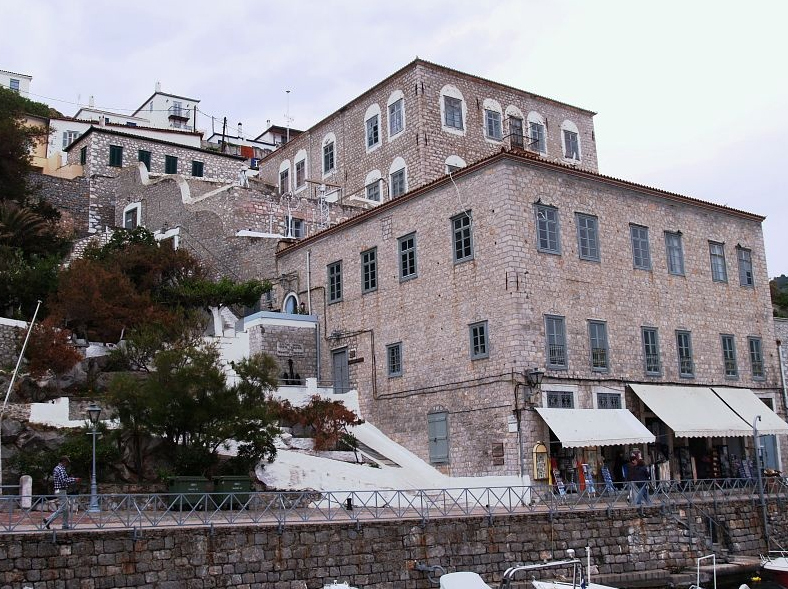 In 1927 was established in Hydra private Naval College under the protection of the naval Society of Hydra. 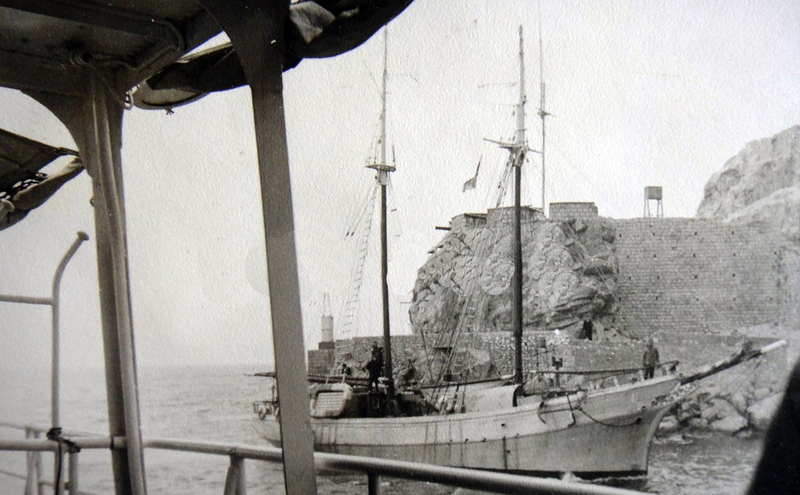 In 1930 and with the law of "4511" which established by the State, the Merchant Marine School of Hydra belongs to the grade of Senior Technical and Vocational Education. From 1930 the Academy is situated to the Manor where Anastasios Tsamados and Athanasios Koulouras used to live. It is bestowed to the State exclusively for the operation of the Academy. During the German-Italian occupation the building was requisitioned by the Italians to install their headquarters (komantatour) while the school was operating in Athens, at the offices of the association of shipowners and later in Castella until 1949. On 1 November 1949, the first two classes "repatriated" to Hydra where the school operates today. The first educational boat of the Academy was called "Saint George" of the fisherman Tsigaris, the second was called "Electra" and the third one "Eugene Eugenidis". Since 1989 the institute of interchangeable education has been applied. According to this, the naval cadets are traveling with containers ships and they get paid for that. The apprenticeship in the Academy is four years. From the Academy have already gratuated 2.800 captains. With a recent law repealed senior civil Merchant Marine Academy and in their place were established in accordance with international standards, the Merchant Marine Academy belonging to tier higher technical and vocational education.